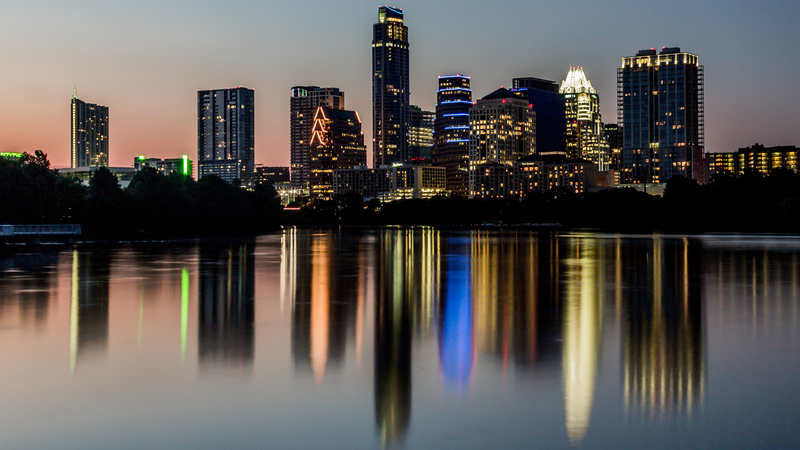 We’re looking forward to welcoming a few hundred WooCommerce people to Austin next month and in preparation, with a little help from the Austinite Automatticians in our midst, have put together some recommendations on what to do before and after WooConf. 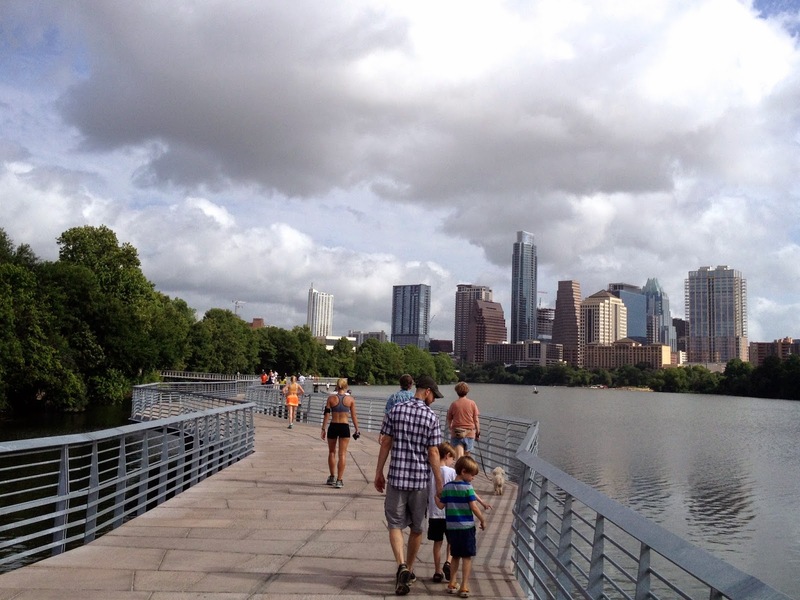 Take a walk on the Lady Bird Lake trail down to the Congress Ave bridge to watch the sunset and see the bats take flight! Austin is undoubtedly one of the best music cities in the nation, so why not check out a live show while you’re here? do512.com has the scoop! Until then, perhaps the playlist Hiro helped put together of famous Austin City Limits performances will get you through your workday. If you don’t quite have time to visit all of the 50+ breweries in the area, we suggest you amble on over to Gingerman instead, one of the top craft beer bar destinations in the country! Within a few blocks walking distance of WooConf with 50+ beers on tap and a large outdoor patio, it’s the perfect place to wind down with some brews. If you do have time to make it to a brewery or two our top local brewery picks include: Austin Beerworks, Kamala Brewery at the Whip In, and ABGB (where our Friday networking lunch will be hosted!). 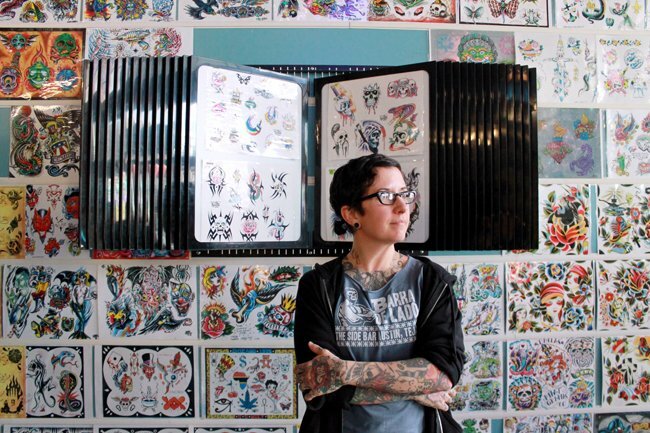 As one of the most tattoo’d cities in the U.S. Austin has no shortage of tattoo shops. It’s commonly said that there are there are about 7.5 shops per 100,000 people. To really feel like you’re getting the local’s experience maybe you’d like to head on over to a shop and get a tattoo of your own? In fact, we like the idea so much, the first WooConf attendee to get (and Tweet us) a Woo inspired tattoo will get free downloads for WooThemes.com for the remainder of 2016! 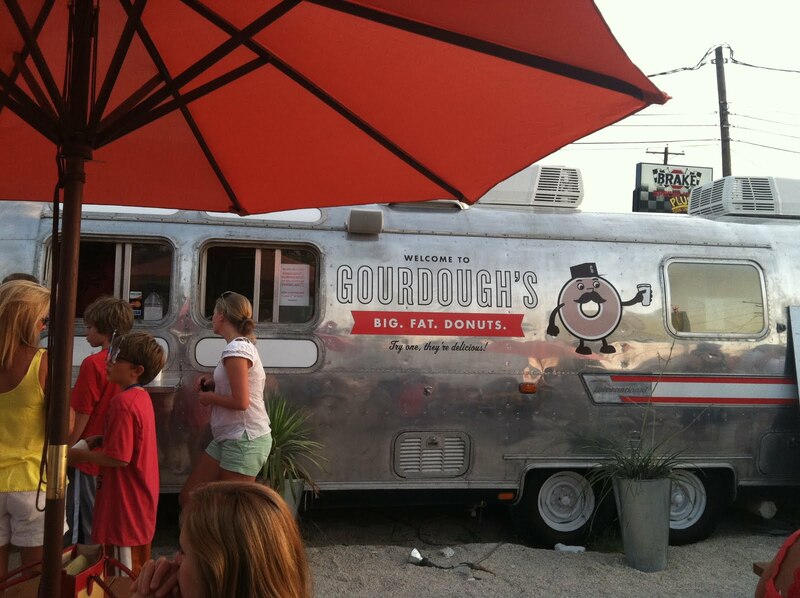 If you’re joining us in Austin, bookmark this post and let us know where you end up. And share your suggestions on Twitter if we’ve missed a few gems! With an amazing set of speakers filling up a packed agenda, there really is so much that you can learn at WooConf – no doubt attending the event will leave you in a far better position to build your business, whether you are a store owner, developer or both. What you may not know, however, is that by being in Austin for WooConf you will also have an opportunity to give back to some amazing non-profits in a very real and tangible way. 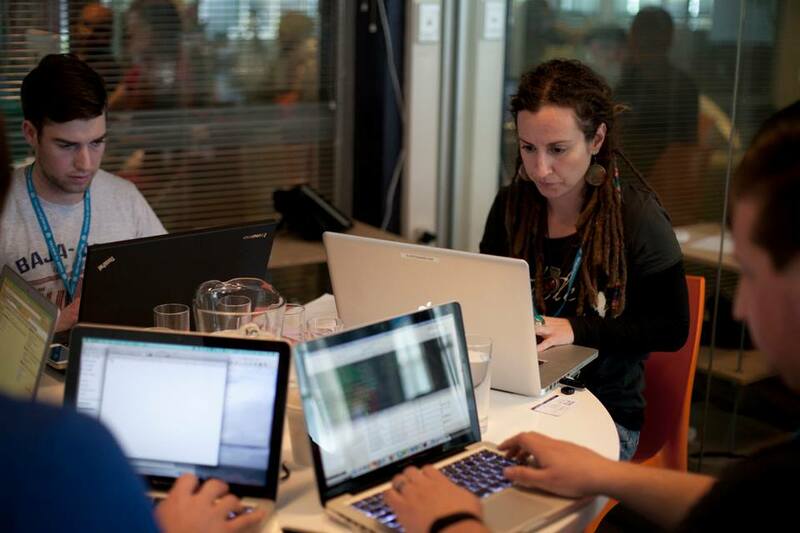 This year, Austin will be holding the city’s first do_action WordPress Charity Hackathon – do_action is a single day where the WordPress community comes together to build brand new websites for local non-profit organizations. For this event, there will be 10 Austin-based organizations that will be benefitting from the work that the community puts in for them, with all the websites being started and completed in one day. This is a really great opportunity to use skills that you already possess to enable a few deserving non-profits to serve their community even more effectively. The great thing about an event like this is that we are not only looking for developers! The teams that will be building the non-profit websites all need a combination of a Project Manager, a Content Creator, a Social Media Manager, and a Designer, as well as Developers. That makes getting involved in the event even easier than ever, no matter what your skillset is. If you would like to be involved in do_action then you simple need to sign up with this form where you will be able to select the non-profit that you would like to work with as well what your role on their build team will be. do_action will be taking place on Friday, April 8 from 8am until the end of the day – that’s the same day as the WooConf workshops but the workshops have limited attendance (and are indeed already full). If you’re looking for something different to do on the day, or you would rather use your time to give back to the local community, then do_action is the place for you. The event will be taking place at Vuka, which is only a short distance away from the rest of the exciting WooConf activities. Breakfast, lunch and a celebratory supper will be provided, as well as tea and coffee throughout the day, so you’ll be kept fuelled and active as you help these great organizations boost their online presence. 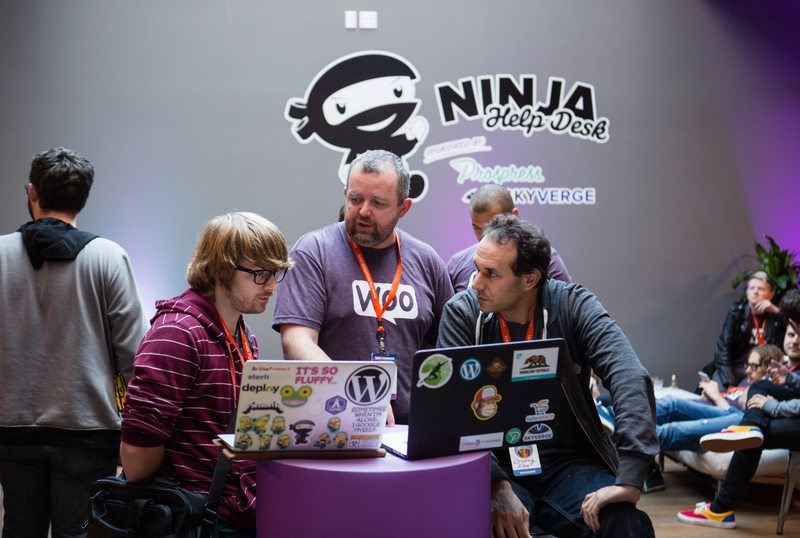 Sign up now and if you have any questions reach out to info@wooconf.com and we’ll field them to the organisers. If you’re running your business on WooCommerce and have heard about WooConf, perhaps you’re wondering if it’s for you. We understand full well that conferences are aplenty and resources are not – but as our planning nears the finish line we can safely say that WooConf 2016 will be worth every effort required to join us. Here are six reasons why this year’s conference will surely be worth it for you store owners. Listening to (and networking with) business owners who have put our eCommerce platform through its paces and done great things is an inspiring way to glean learnings. Chris Lema will share lessons learned from selling a crazy amount of lipstick and Brian Krogsgard of PostStatus will share what he’s learnt running his own store. We’ll also have a panel discussion with four store owners using WooCommerce in a bunch of interesting and innovative ways led by Catherine Stewart. Along business growth lines, Drew Sanocki will share growth secrets of 9-figure eCommerce retailers, while Chase Reeves will let you in on his favorite trick for being successful. Marketing is a tricky topic, and we have several talks focused on how to use marketing to drive sales, grow your brand and reach your audience. 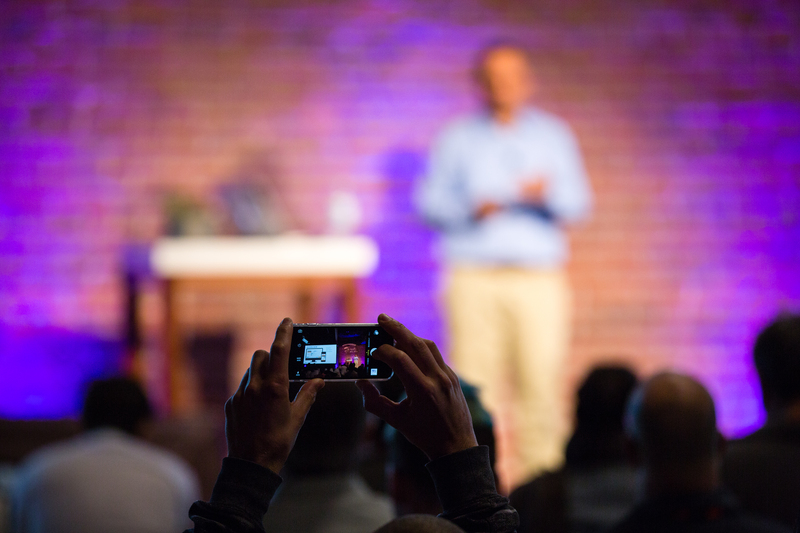 From trends in search marketing, advertising for Instagram and Facebook, and how to use social media and video to the power of word of mouth marketing and why your brand needs a distinct voice, we a have number of content-rich, inspiring talks lined up for WooConf this year. Here’s Dustin Stout‘s application video, we can’t wait to hear his talk on social media and content marketing tactics. And just a few marketing-related speaker names to look out for are Andy Sernovitz, Seth Rand, Miracle Wanzo, Kandace Brigleb and Josh Cary. They say the only two constants in life are death and taxes. For many store owners, the topics are dangerously linked! Mark Faggiano, CEO of TaxJar – the leading sales tax compliance provider in eCommerce – will deliver a comprehensive talk to help you understand the ins and outs of sales tax and make compliance decisions that are best for your business. In addition, Greg Chapman of Avalara will take you through how making decisions to speed up your eCommerce delivery can end up costing you tax-wise, and share tips on how to avoid hidden costs. Security is scary. But never fear: this year at WooConf we have three talks focused on various aspects of this critical subject, including security considerations when building your site from Tony Perez of Sucuri, PCI compliance from Lee Blue and a look at the future of secure payments from Rahul Despande from MasterCard. There will also be an opportunity for you to check in at our Ninja Help Desk to get one-on-one help with any specific questions around security relating to your store. The internet is filled with information about optimization, A/B testing, being data-driven and using data to improve conversion. We all know it’s important, but what does it all mean? Beka Rice will explain how to get started with tracking valuable metrics, like average order value, average order profit, or customer acquisition costs, and how WooCommerce (or extensions) can provide this data for you. Then Peep Laja of ConversionXL will share how to use data meaningfully by turning it into insights and customers. 6. And finally, meet our team! WooConf is the only opportunity to connect IRL with members of the team behind WooCommerce. Over the course of our event there will be time and space to chat, visit the Help Desk and learn directly from a number of WooCommerce Ninjas who will be delivering talks and workshops. You’ll be inspired by successful big scale store owners, get help with marketing, tax, and security, gain practical tips for tracking and optimization and have abundant networking time. We’re grateful to all of our WooCommerce partners who have come aboard as sponsors, particularly MasterCard, PayPal, ShipStation and Heartland. We couldn’t pull off this premium event with out. Perhaps you’ve heard about WooConf and are wondering if it’s worth investing the time and resources to attend. Fair question! 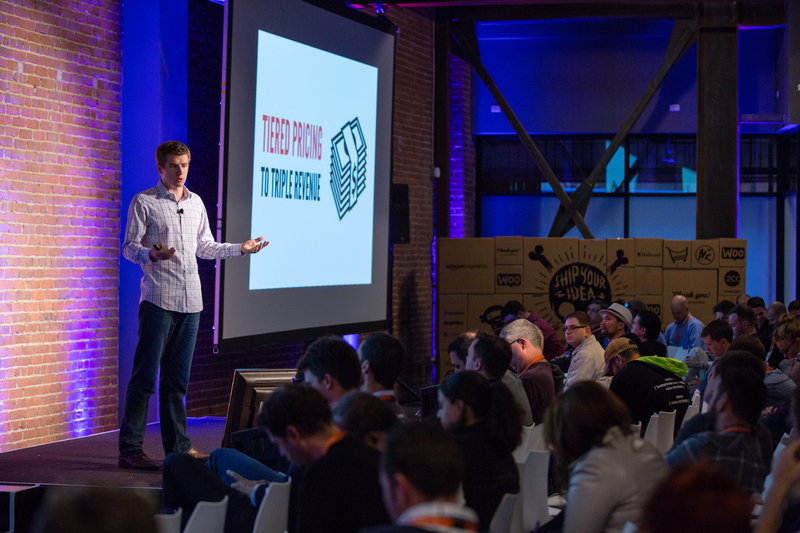 Developers aren’t famous for enjoying marketing pitches, but we wanted to summarize what you can expect to learn at WooConf this year. Here are six of the best reasons to head to Austin this April. It’s been a pretty fast-paced six months in the world of Woo, and you might be wondering about the lay of the land and what’s on the horizon. Shortly after Joel, Matt Mullenweg will be sharing thoughts on the future of WordPress eCommerce, and later on day 1 Patrick Rauland will dive into the future of eCommerce development. The WooCommerce developer panel on day 2 promises to be a lively chat led by the veritable our most excellent master of ceremonies. It will include a couple of our core developers and we’ll be taking questions in advance via Twitter. Rumor has it that there will be a pretty exciting WooCommerce product announcement (with demo) during the course of WooConf, an exclusive treat for our attendees! A widely held misbelief about WooCommerce is that it doesn’t scale. It actually just boils down to going about it the right way – and this year at WooConf, this frequently asked question will be thoroughly addressed by two experienced developers. Chris Lema will let us in on a story of selling an insane amount of lipstick with WooCommerce and Patrick Garman will take a technical dive into how to properly scale a site that gets 1000’s of orders per minute. If you’re looking to convince clients to switch to WooCommerce, you’ll need to know how to successfully and securely migrate stores (and big ones). Lukas Jacob Hafner will present how his company booncon PIXELS migrated a custom built web-store with around 32,000 product variants in two languages to WooCommerce with detail about internationalization, writing custom migration scripts, and touching on the WooCommerce REST API and custom prices. If your clients’ businesses grow, sooner or later you will have to migrate to a different server. Hristo Pandjarov from Siteground will share practical advice and advanced tips on how to migrate your WooCommerce the right way. Security is a key consideration for clients, and our three security focused talks this year will ensure you remain on top of trends and best practices when it comes to securing WooCommerce. Tony Perez, CEO and Co-Founder of Sucuri, attended WooConf 2014 – read his thoughts about it – and we’re excited to have him join us as a speaker this time around. Rahul Despande of MasterCard and Lee Blue will cover PCI compliance and security with payments and PayPal Braintree‘s GM and CTO, Juan Benitez will be joining us at WooConf this year to talk about the future of payments on mobile and beyond. A number of our developer track talks will explore creative applications for WooCommerce. Kenn Kelly will explain why WooCommerce is not only a shopping cart, and demonstrate how it can be used for innovation and thinking sideways. Bryce Adams, an Automattic code wrangler, will take us through some creative uses of the WooCommerce API via examples of WooCommerce in the physical world. 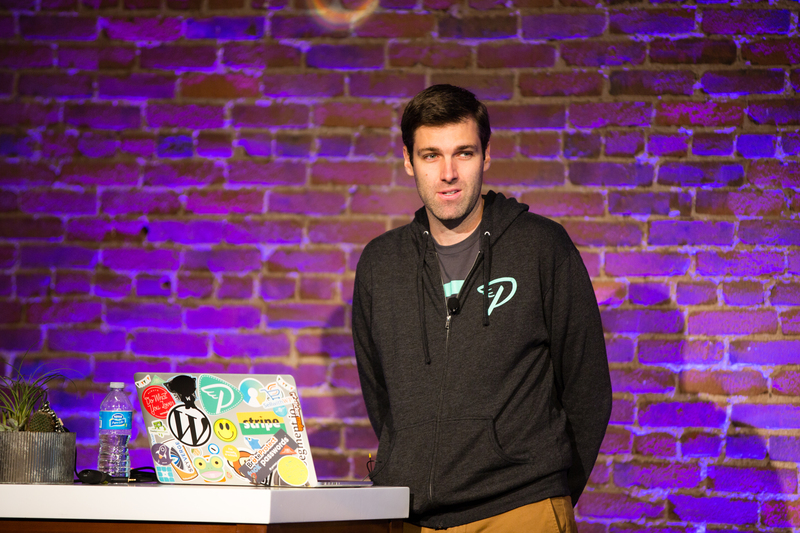 Bob Dunn (who led a workshop at WooConf 2014) will explain exactly how to build an online training business with WooCommerce, sharing his advice on which extensions to use and more. And, Prospress’ own Brent Shepherd, creator of WooCommerce Subscriptions, will share 21 things you didn’t know you you could do with subscriptions. We’re pleased as punch that the whole Prospress team will be joining us for WooConf once again. Possibly the greatest benefit of all from attending WooConf will be the connections formed. Throughout the two days (and at the networking lunch on Friday) there will be ample time to connect, ask questions and share stories with others who are building business on WooCommerce. There is no other event that provides this kind of access to fellow developers, stakeholders, WooNinjas and store owners. Take a look at the full agenda here and if you have any questions, reach out to us on hello@wooconf.com. 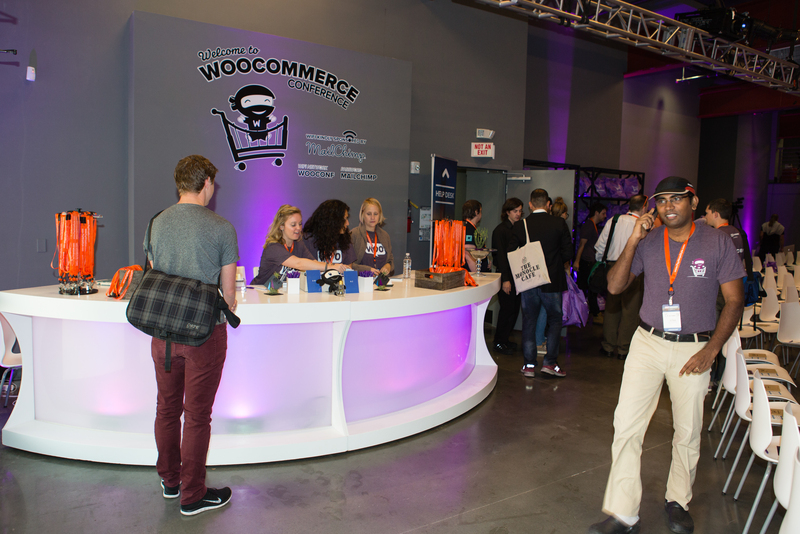 We’re grateful to many of our WooCommerce partners who’ve come aboard as WooConf sponsors, particularly MasterCard, PayPal, ShipStation and Heartland. We couldn’t pull off this premium event with out.